Fall is in the air! 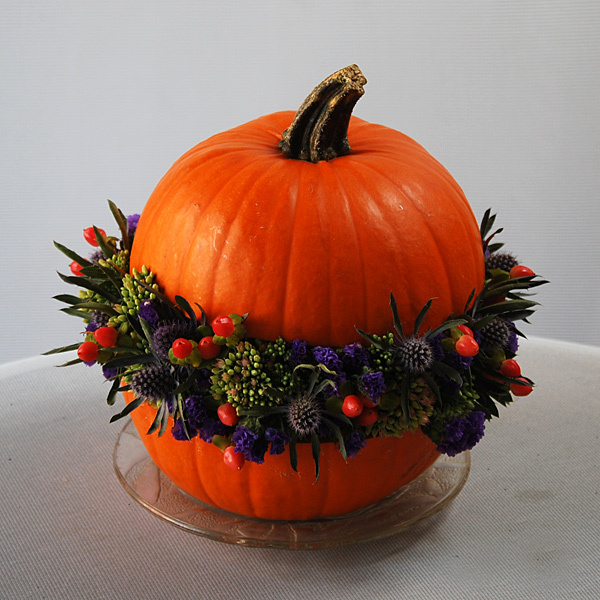 Just like fashion, flower styles change with the seasons. 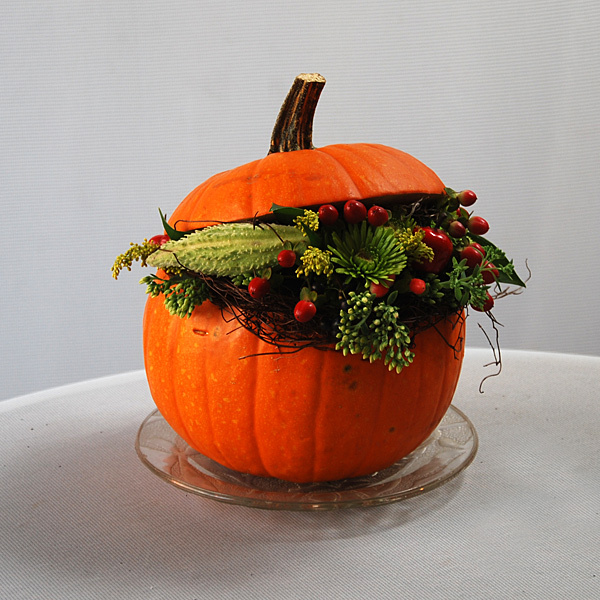 The Flower Pot's great Swiss florist Astrid designed these two adorable stuffed pumpkins. This fall, like every other fall for flowers, the rich earthy colours are in. Imagine how stunning these pumpkins would look on the coffee table in your living room! The Flower Pot is much more than the sum of its online products. Although we do display a wide variety of arrangements on our website, there are far more options when you visit us in person. Come in, and pick our florists' brains. You'll find something unique that you will be proud to offer someone. Our florists can tailor an arrangement specifically to your needs be they budget restrictions or design requirements. What makes The Flower Pot truly special is the great effort we put into having one-of-a-kind arrangements for our customers. We have an in-house photographer who photographs all of Astrid's creations. You won't find them elsewhere. In this case we made an exception for the blog, but as a general rule, if there isn't a Flower Pot logo in the bottom right, you know that it is a stock shot used by all florists, and you might not be buying what you see. Our images are real arrangements we have made and sold, so you know exactly what you'll get from us. To feast your eyes, come and visit your friendly Downtown Montreal florist located in Griffintown to browse through all our gift options, and make your requests. If you can't, visit our website, call us at 514-938-1234, or take our Griffintown shop tour on Google!